Happy Father's day to all the Dads out there, especially my 2 lovely sons, Mark and David who are both great Dads to their children, Rhiannon & Sion, and Lorna & Kate. I love being a Nana, although having 3 granddaughters after having two boys of my own was an eyeopener and my only grandson Sion, who is so like his dad when he was young , reminds me of happy days as a very young mum. 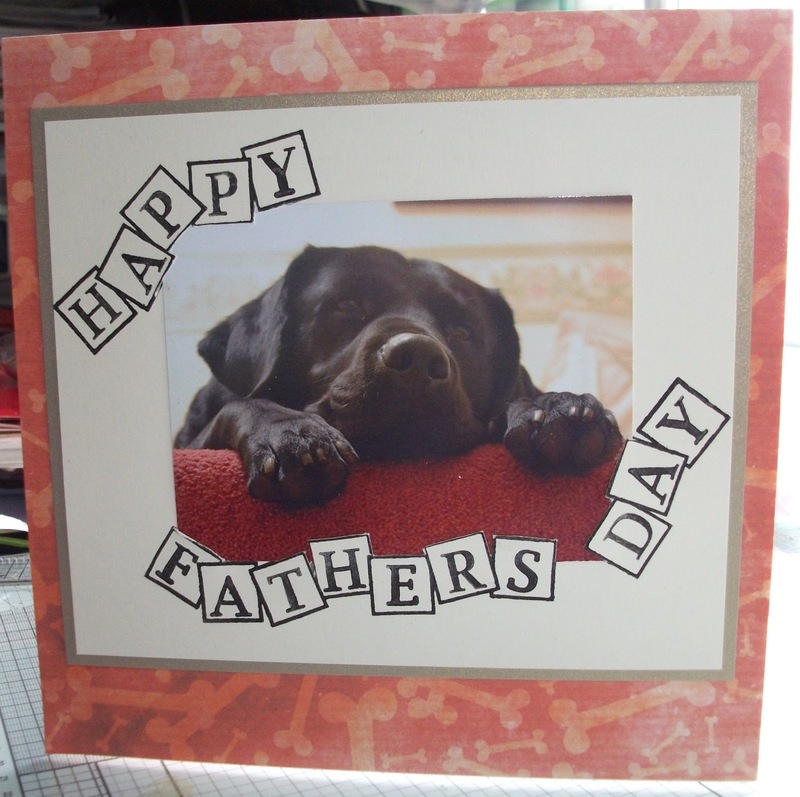 This is a card I made this afternoon for DH from his boy Jasper (our 4yr old Black Lab) that's him on the front of the card. Kate took this photo when she found him lying on the top of the stairs waiting for us to come home. The lettering was done using Clarity Letterbox set a very useful set. 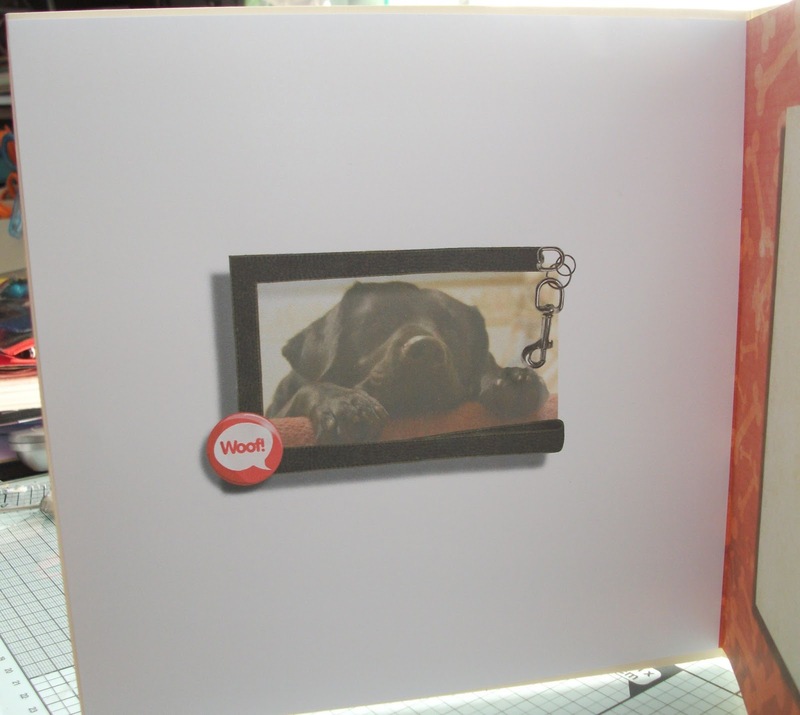 This is what I put on the left hand flyleaf, I used Serif craft Artist to put the same photo in a doggy frame and added one of their embellishments, I love being able to use their drop shadow effects to make the picture pop out of the page.